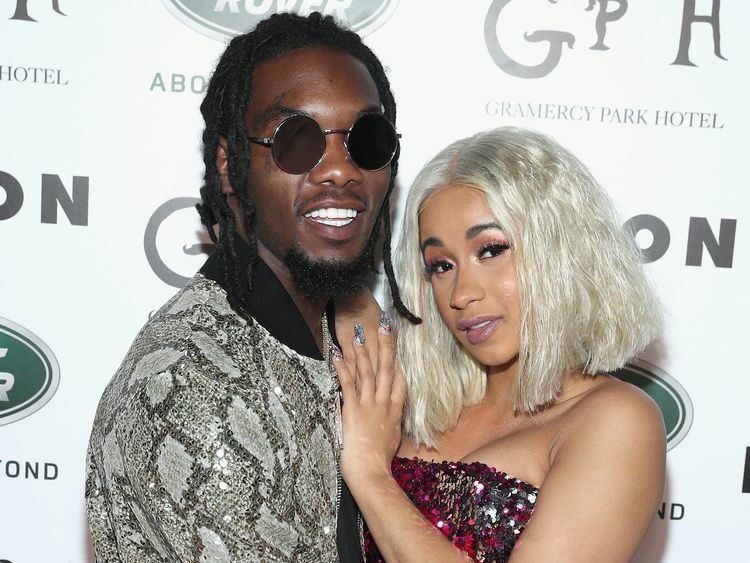 She captioned the picture with her daughter's name and the date "07/10/18".The 25-year-old also revealed that her partner had chosen the name.Offset has three other children from previous relationships - two sons and a daughter.Cardi B, whose real name is Belcalis Almanzar, confirmed the much-rumoured pregnancy during a performance on Saturday Night Live in April. In a tweet on Monday, she described the last month of her pregancy as "hell". Cardi B confirmed in June that she had married partner Offset in September last year.She posted on Instagram: "There are so many moments that I share with the world and then there are moments that I want to keep for myself! Getting married was one of those moments!" She added that they had woken up one morning and "decided to get married".The rapper released her critically acclaimed debut album Invasion of Privacy in April.